The above quote from 1946 gives us a wonderful insight into the workaholic Prokofiev’s mind. At the Usher Hall, Edinburgh on 9th April, I will be exploring the background to Prokofiev’s Cinderella, written in the grand fairy-tale tradition of the great Tchaikovsky ballets. You can find details of the event and booking information here. 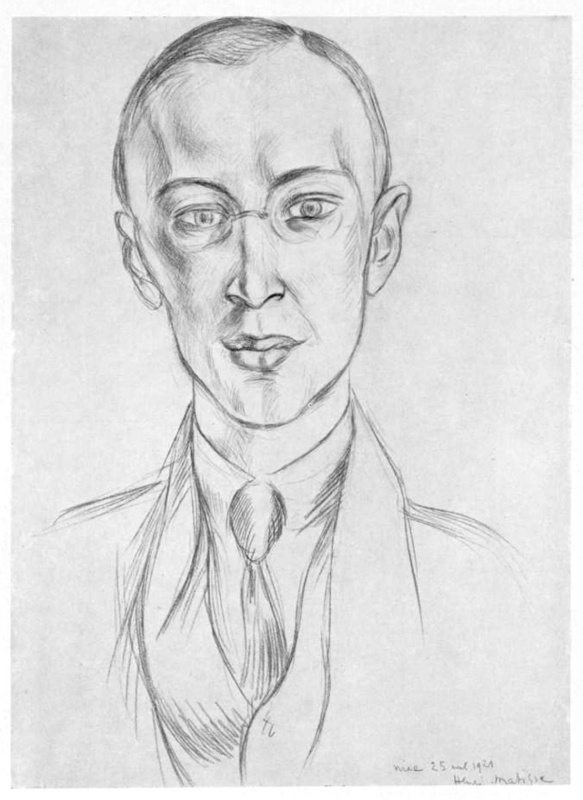 We will set the ballet in its historical context, looking at Prokofiev’s return to Russia in 1935 and what this meant musically to an artist used to working in the liberal environment of Paris and the USA. Cinderella was written during World War II, a surprisingly productive period for Prokofiev. Other works from this period include one of his best-loved symphonies, no. 5, the film score to Ivan the Terrible and the epic opera on Tolstoy’s War and Peace. Prokofiev became almost obsessive about this opera, and it eventually brought him into conflict with Stalin’s notorious culture minister, Zhdanov. In the morning we will look at the first part of Prokofiev’s career, prior to taking a closer look at the 4th Piano Concerto, which the RSNO will play with Alexander Lazarev and Nikolai Lugansky in the same programme as Cinderella. This rarely performed concerto was one of several commissioned from prominent composers of the time by Paul Wittgenstein, who lost his right arm in World War I. Neither he nor Prokofiev was particularly well-versed in social etiquette, which led to some frank exchanges between the two men! You can read more on Wittgenstein in Manus Carey’s article on the RSNO Website. Come along to the Usher Hall on 9th April to find out more and to welcome our special guests from Scottish Ballet, music director Richard Honner and Chief Executive and Artistic Director Chris Hampson, fresh from their winter production of Cinderella. Oh, and don’t forget to buy your tickets to hear Lazarev and Lugansky perform these great works in Edinburgh (15th April) and Glasgow (16th April)! When I was asked last year if I was interested in delivering one of the RSNO’s new Discover Days on Prokofiev, I immediately jumped at the chance. I’ve been giving pre-concert talks for a few seasons now and I love the opportunity that that gives me to meet our audience and to share my love of music. It would be a real pleasure to spend a whole day looking at one of the most enigmatic and talented composers of the 20th century. One thing that I am very much looking forward to on the Discover Days is discussing Romeo and Juliet (and, in Edinburgh, Cinderella) with Scottish Ballet’s conductor, Richard Honner. I played Romeo with Scottish Ballet and Richard back in the late 90s before I joined the RSNO and I know he shares my love of this music. We met a few weeks ago to swap ideas. I won’t spoil the day by telling you what we talked about, but I will tell you how much I enjoyed my tour of Scottish Ballet’s premises at Tramway – a far cry from West Princes Street, where the company was based in my time. That brings me neatly onto the subject of our venue for the Discover Day in Glasgow: the RSNO’s New Home! Actually, I hardly know it myself yet – we’ve only been there for a week, but I can tell you that it is incredible! We are so fortunate to have it built for us. So what are you waiting for? The chance to explore some wonderful music with me, to share the passion of Romeo and Juliet and to be one of the first people to see inside the RSNO’s New Home. I’ll see you there on 7th November!